Believe it or not, Canadians know a lot about Japan. Here are a few things that Canadians might know more about than the average Japanese person. 1. 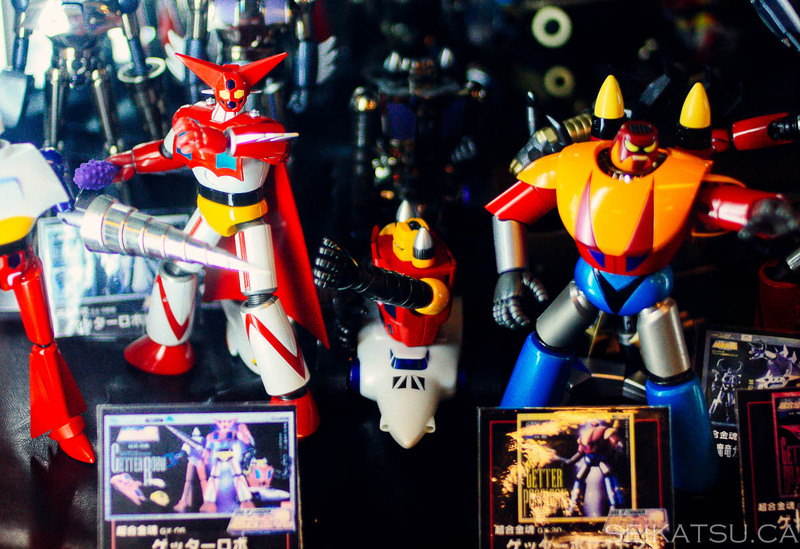 Animation – especially Gundam toys, science fiction, and fan fiction. Otaku culture here is more mainstream and cool than in Japan. Not just for nerdy boys, pretty Canadian girls and young people of both sexes love cosplay, manga, and animation culture. There are several otaku conventions every year – the biggest one in the world being Comic Con in San Diego, with several celebrities and movie stars showing up. In Canada, Toronto’s equivalent, Fan Expo (http://fanexpocanada.com) also attracts celebrities and fans of comics, animations, toys, movies, and TV shows. 2. Theme restaurants – Can you tell us what a Maid cafe is like in Tokyo? What about Osaka? What about the differences? Well, we can, and Osaka is much better. And have you been to the ninja, robot, AND (not OR) 3 horror restaurants in Tokyo? We love theme restaurants so much, we even went to them in Japan while dressed as ninjas! 3. Foodie Culture – We know about the best ramen and sushi restaurants in Japan, and it’s more than that just Tsujiri in Kyoto. There’s Rokurinsha ramen in a Tokyo subway station, Rakuichi Soba in Hokkaido and 30-minute $300 sushi at Sukibayashi Jiro. Thanks to food travel shows and celebrity chefs, many Canadians are foodies (food otaku) and chase good food and popular restaurants around the world. Uncle Tetsu came to Toronto and the lineup has been non-stop. LINES. We asked 10 Japanese if they ever tried Uncle Tetsu in Japan. All 10 said they never tried it, and 6 said they never even heard about it. 4. Good Coffee In Japan – Canadians love coffee. I mean, we really LOVE it. In fact, at Yonge and College, you can find about 40 coffee shops in a 1km radius. So, when Japanese say they like Starbucks, we roll our eyes and laugh. Most Canadians will not touch instant coffee (though Japanese instant coffee is better than Canadian), and more than half drink coffee every day. Of these drinkers, 80% brew their own coffee every morning, many will grind fresh beans, and some even roast their own beans. Japan requires more hunting for good, non-Starbucks coffee, but Canadians will try. In general, we prefer Doutor coffee over Starbucks for value and even taste. 6. Outdoor Adventure Places – No, we’re not talking about Mount Fuji. Canadians love the great outdoors, so when we visit another country, we like searching for hikes, surfing spots, and in our case, rock climbing places. 7. Dolphin Hunting – This is mostly because of an Oscar-winning documentary “The Cove” about the annual Taiji dolphin hunt. To be fair, we think the huge pig, chicken, and cow industry in Canada to be no different or worse. 8. 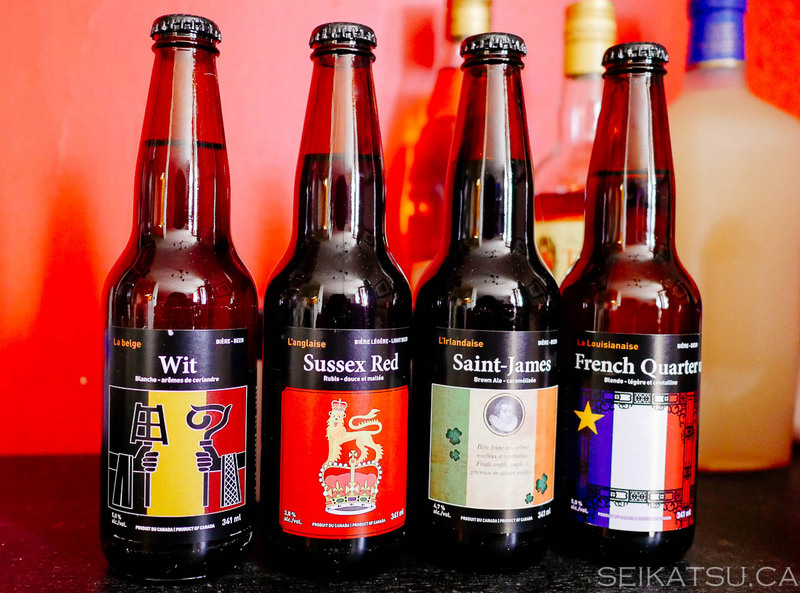 Craft beer – Craft beer is extremely popular in Canada. In Toronto, craft beer is consumed more than mainstreambeers such as Molson Canadian and Labatt’s Blue and is available at most bars. When Canadians travel, we look for beer that’s not Asahi or Sapporo. By the way, did you know that Sapporo owns a famous Quebec craft beer company Unibroue? They make a famous and super strong 12.5% beer named La Fin Du Monde. We recommend you try their milder and more flavourful Blanche de Chambly beer instead, but make sure you share a 750ml bottle of La Fin Du Monde while in Canada! 9. High End Cameras – Japan makes the best cameras, and Canadians know it. Many Canadians know about the best and latest cameras and video gear to come out. It’s not just Canon L lenses and DSLRs, which have always been popular for years now, but now Canadians follow Panasonic/Lumix equipment for video, high end micro 4/3 cameras, the high-end Sony Alpha series, sharp low-light manual focus lenses, prime lenses, and more.